Often times we find our greatest inspiration when we are immersed in real-life experiences outside of the office. From an early morning hike in the great outdoors, to a weekend getaway with the family, inspiration tends to strike when we least expect it. For Griselda Quezada-Chavez, one of her greatest inspirations came while traveling to other countries and led her to launch her successful import/export business, Q&C Exim LLC. During a trip through Latin America, Griselda found herself energized and inspired by the different cultures, flavors, crafts and handmade clothing. As a savvy businessperson, she also saw a business opportunity. So in 2006, she launched Q&C Exim (Q&C for “Quezada-Chavez”) with her husband to support the one-of-a-kind clothing and cultural crafts she so admired during her travels. From there, she expanded her business to include GuayaFina, a clothing line modeled after the traditional Latin shirt “Guayabera.” She also introduced World Boutique & Gallery, which sells handcrafted items from local artisans, cooperatives and non-profits from around the world via a virtual gallery. 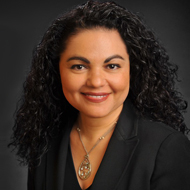 Griselda has taken her passion for international business beyond Q&C Exim as a valued leader within NAWBO. A member of the Silicon Valley chapter since 2009, Griselda serves as the chapter’s International Affairs Director and as the National International Ambassador. Through her work with NAWBO, Griselda helps other members take advantage of international travel opportunities to expand and strengthen their businesses. For example, this year NAWBO is offering opportunities to explore Monaco, Tokyo and Italy. Looking ahead, Griselda plans to continue to travel with NAWBO to grow her own business and help support other small business owners around the world. “I’m very passionate about international business. I love connecting people who are in different countries that have a need, service or product. There’s so many opportunities around us, it’s just a matter of being open to the possibilities,” she says. For more information about Q&C Exim, please visit www.qcexim.com. What is the best piece of advice that you would give to another small business owner about taking advantage of international opportunities? What should members do if they are interested in getting involved in international business with NAWBO?